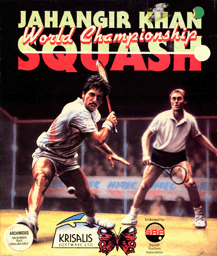 Jahangir Khan, the World's number one Squash player, now brought to the small screen by Krisalis Software. 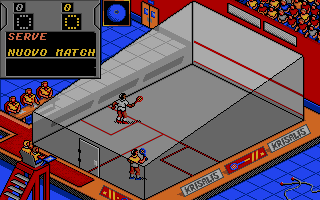 The game features two stand alone simulations, Club level, which is officially endorsed by the Squash Rackets Association, this allows the player to compete in Squash Club Competitions, using menus which include an eight rung leader ladder containing forty players, ball speed control using spot colour options, Match length one, three or five games, play by new or old rules and player statistics. World Championship, the game simulates all the excitement and tension of the 32 seed World Championship Knockout competition. 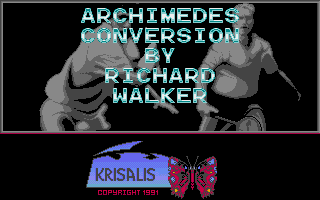 Player one on one two player option, or head to head against the computer.